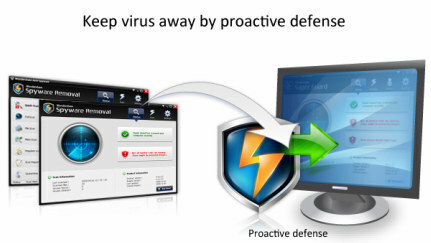 Wondershare Spyware Removal is a comprehensive security software that provides protection against trojan, remove spyware, virus, adware, worms, and other various malware. The new Wondershare Spyware Removal able to performs proactive defense and real-time monitoring to protect system from the latest unknown threats and remove spyware and Trojan virus by using Rootkit technology. In addition, it is also equipped with an advanced scan engine and a huge library of Trojan virus signatures which formidable identification ability, which makes virus and spyware nowhere to hide. A one year subscription license of Wondershare Spyware Removal (aff) typically costs $19.95 for one PC. However, the developer is going to start an exclusive promotional offer which will giveaway 6 months free license for Wondershare Spyware Removal. The free 6 months Wondershare Spyware Removal offer is only valid until 28th, Feb 2010. Then enter the email address and name, and click “Submit” button to request free license key. Once done, the license key will be sent to email inbox. With the license key, users can update and get technical support without limitation for 6 months. Wondershare Spyware Removal supports Windows 2000, Windows XP, Windows Vista, and Windows 7 operating system.